The 7th Annual Small Church America Special Issue—Buy It Now! 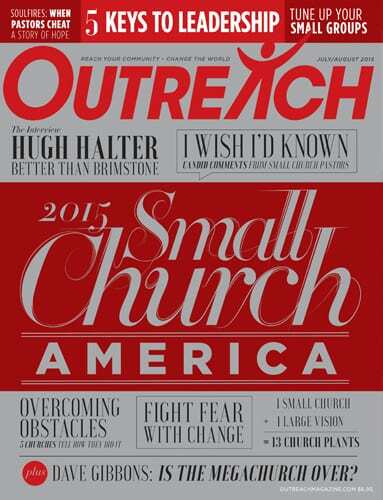 The July/August 2015 marks our 7th annual celebration of Small Church America. For this issue, we asked pastors to relate what they wish they’d known, and their candid comments remind us that we’re not alone in our challenges. In “Overcoming Obstacles,” five churches relate stories of creativity and resilience on the small church journey. And The Outreach Interview engages Hugh Halter in lively discussion about what it means to move beyoond “missional” to “incarnational,” and why judgmentalism is counterproductive, even as we face a culture often at odds with the church. From cover to cover the July/August issue offers ideas, insight and inspiration for churches of all sizes. Order a copy or subscribe today!